A goal of the QESST team is to provide learners with a rich and engaging set of resources and experiences related to solar energy and photovoltaics. 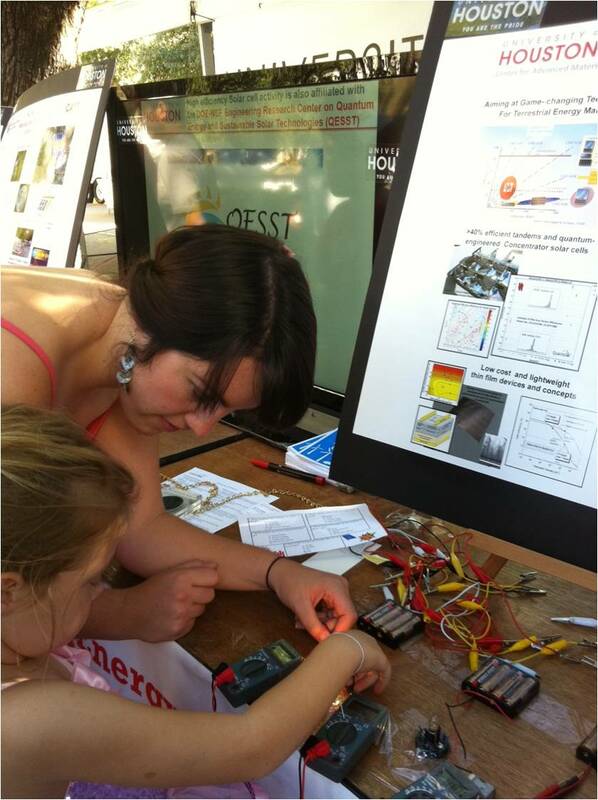 Through both formal and informal education at the pre-college, undergraduate and graduate levels, the goal of QESST is to provide learners—students, teachers, policymakers and the general public—with a rich and engaging set of resources and experiences related to solar energy and photovoltaics. Emphasis is placed not only on learning the basic concepts underpinning solar energy and photovoltaics but to place this knowledge in a context of sustainability, transdisciplinary research, conversation, economics and importance to local communities. Emphasis is placed on innovation, creativity, and entrepreneurship in all QESST education and outreach programs. QESST programs include public outreach, summer research programs for young scholars and undergraduates, year-long research opportunities for young scholars, undergraduates and graduate students, teacher education and research experiences, and K-12 classroom and teacher development opportunities. Although ASU is the only partner school engaging in all educational opportunities, the materials for engagement are prepared by all schools.